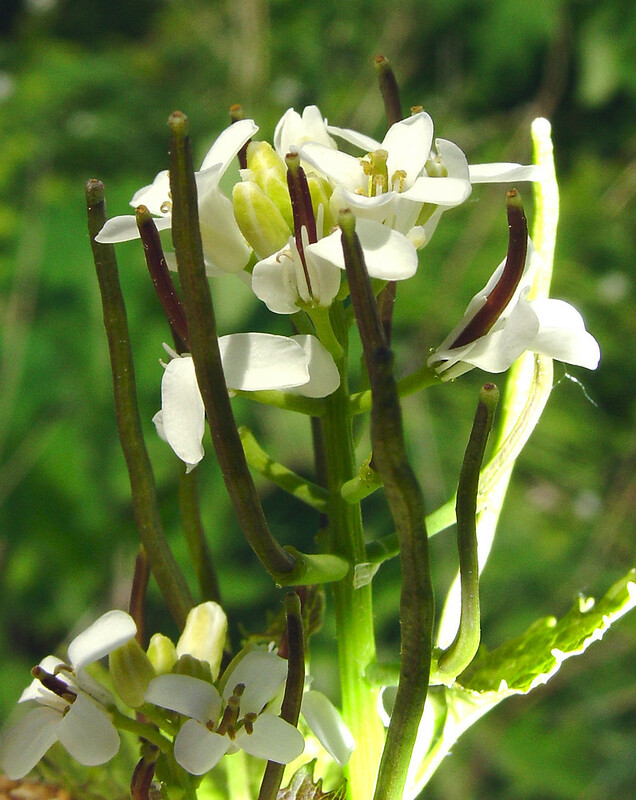 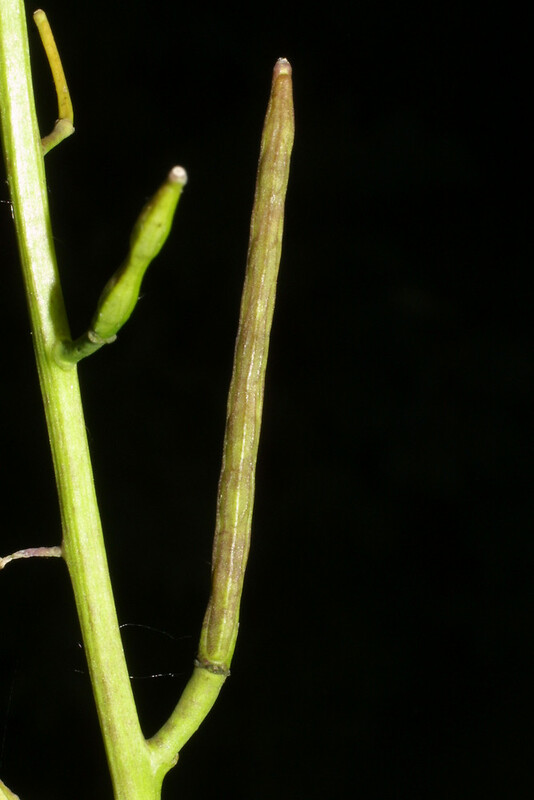 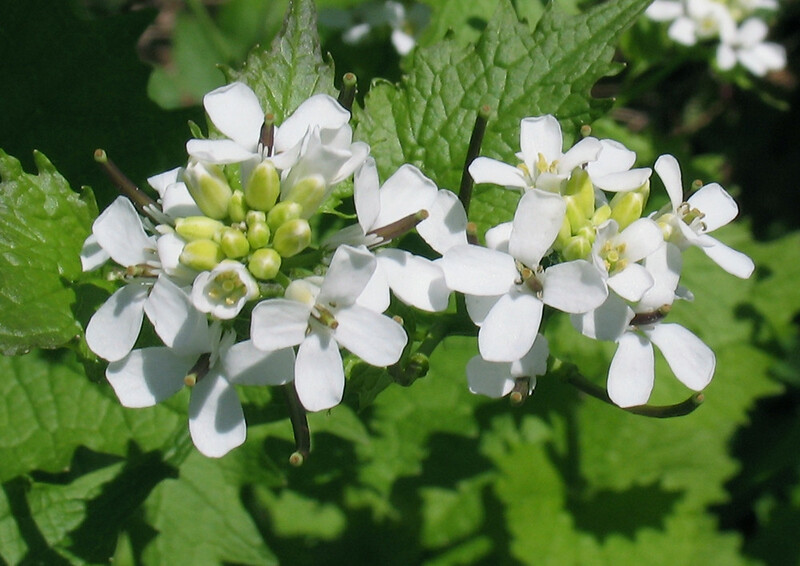 Gardlic-mustard is an invasive species originating in Eurasia and rapidly spreading through much of North America. 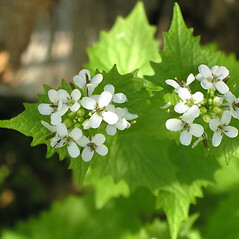 It was originally imported in the nineteenth century as a kitchen garden herb and salad green. 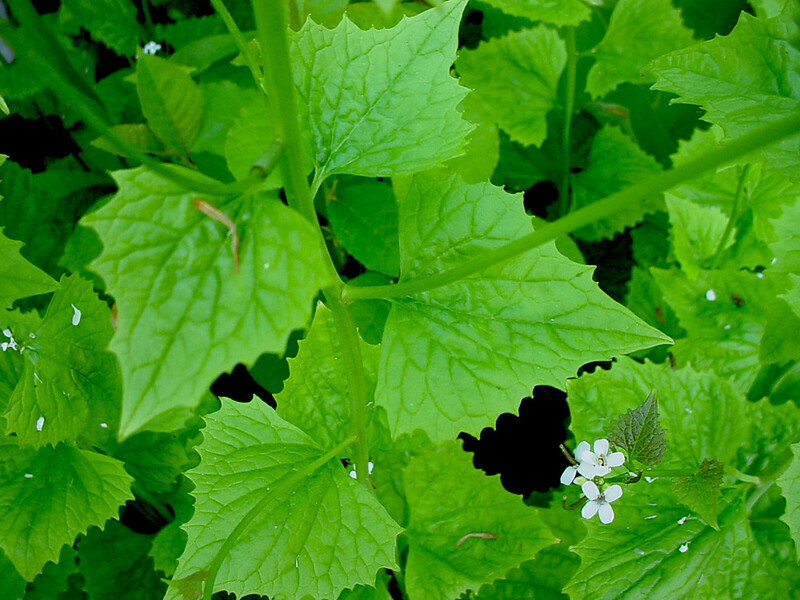 The leaves, which have a sharp, garlic-like flavor, can be eaten raw or boiled. 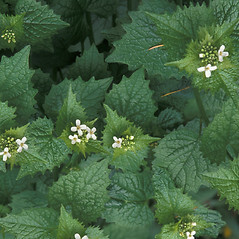 It is most aggressive in roadsides and shady, moist, rich forests, and may form dense colonies. 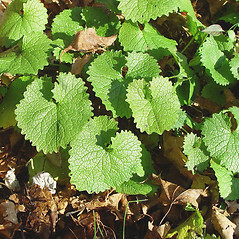 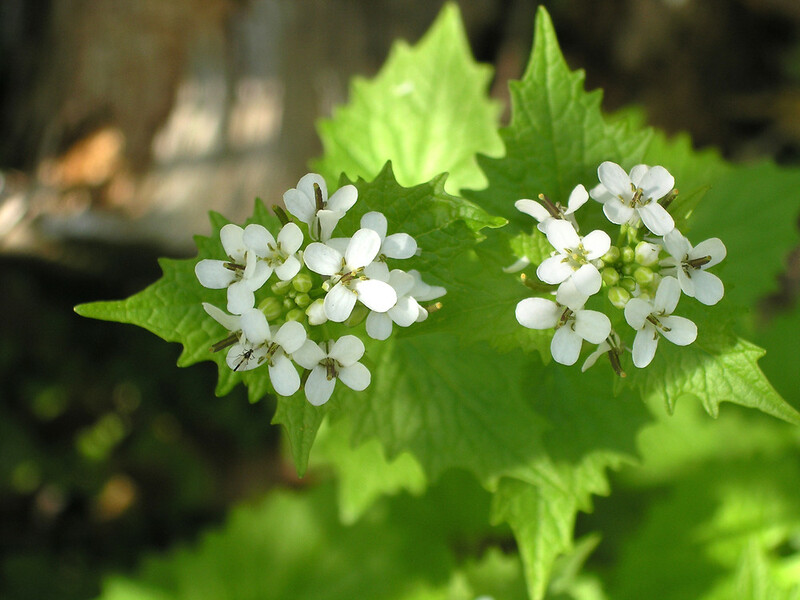 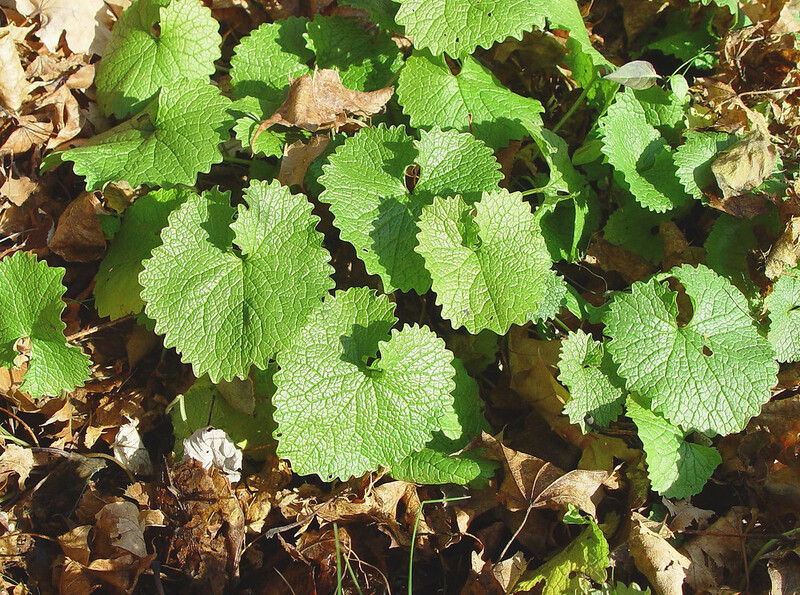 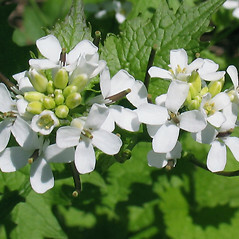 garlic-mustard. 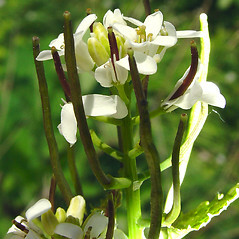 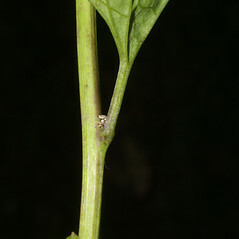 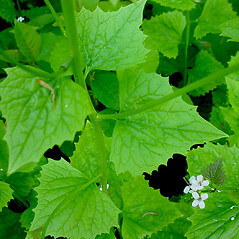 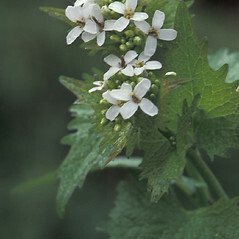 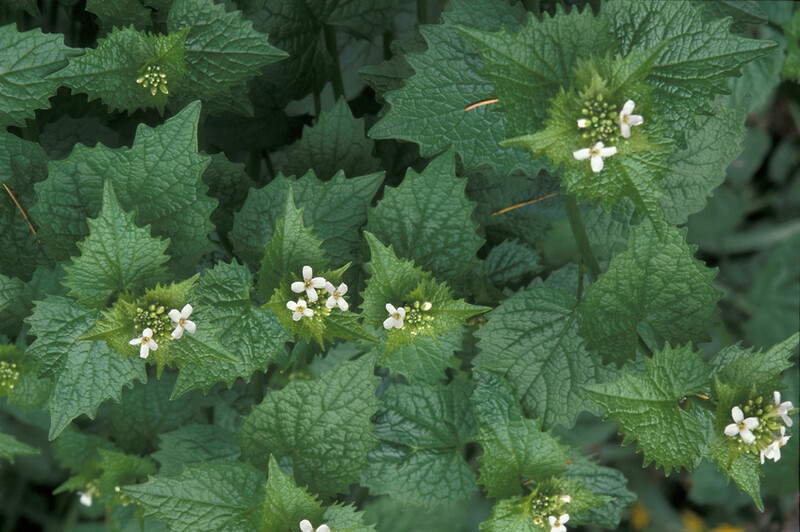 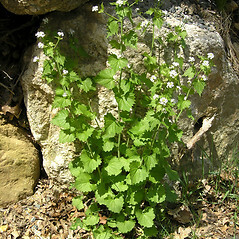 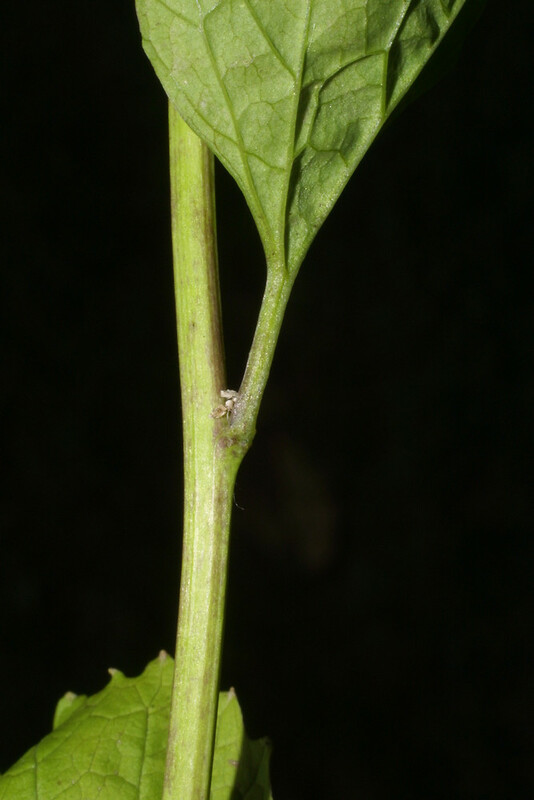 Alliaria alliaria (L.) Britt. 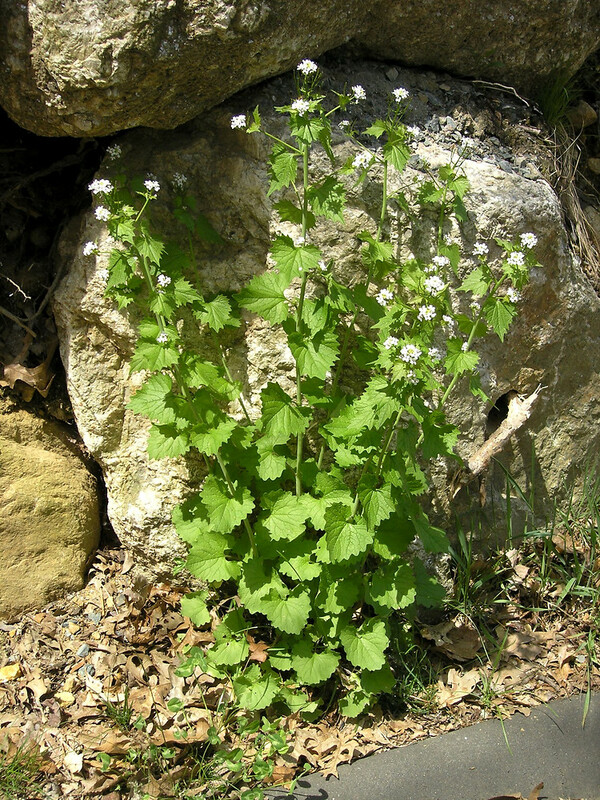 ; A. officinalis Andrz. 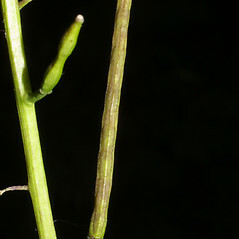 ex Bieb. 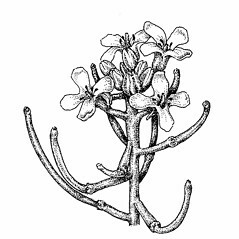 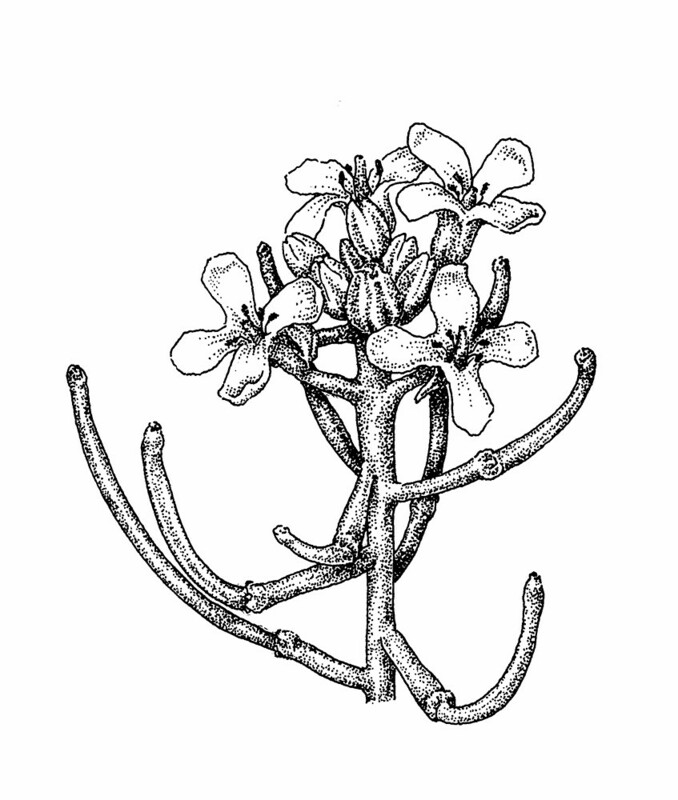 ; Erysimum alliaria L.; Sisymbrium alliaria (L.) Scop. 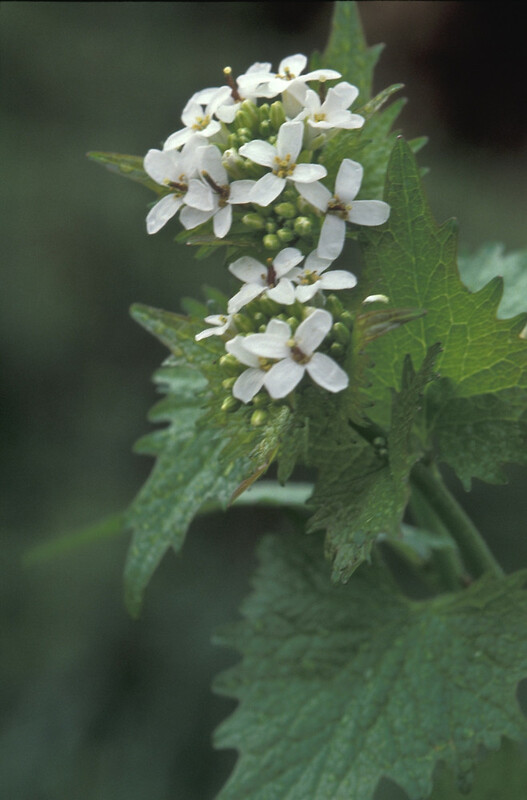 • CT, MA, ME, NH, RI, VT. Roadsides, forests, riparian terraces, frequently in partially shaded plant communities.